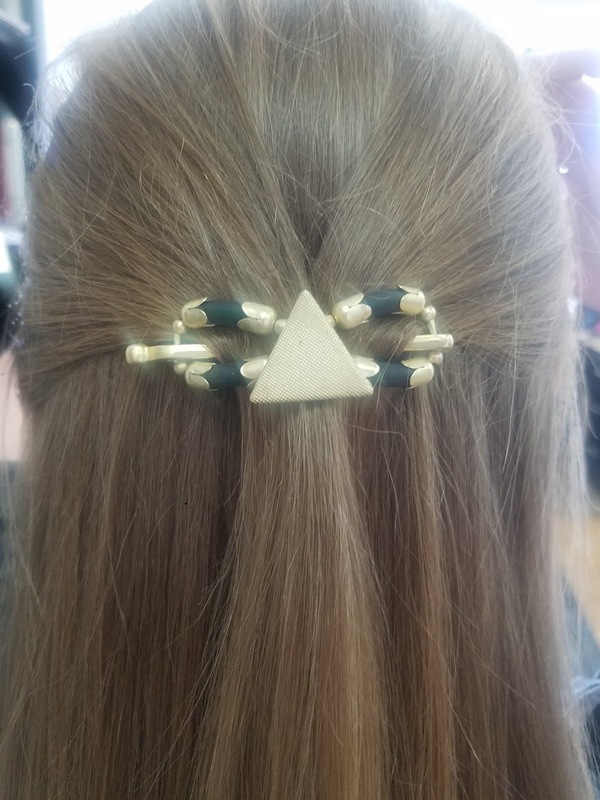 I was introduced to these clips a while ago, and you guys, I am obsessed. These are so cute, convenient and fun to use. 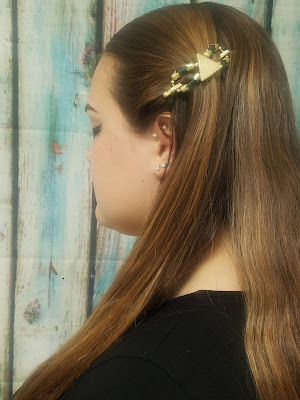 Lilla Rose is a direct Sales brand and they sell hair accessories. I reviewed the AMAZING bobby pins a while back, and you can read that review here. 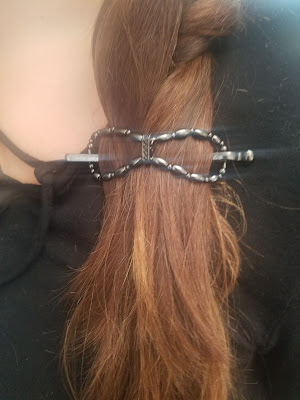 The flexi clips are the brands signature item and best seller though. 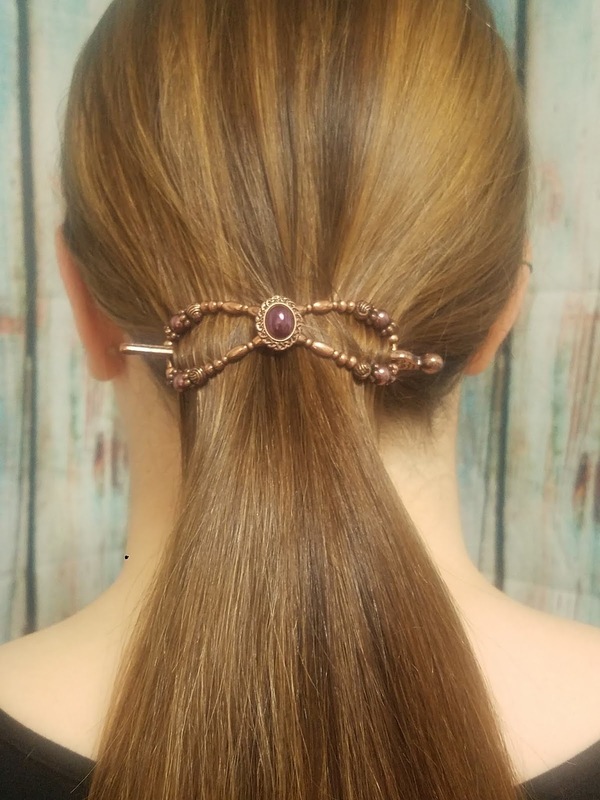 These clips come in a ton of cute designs ad colors, and they are made with beads strung onto piano wire. 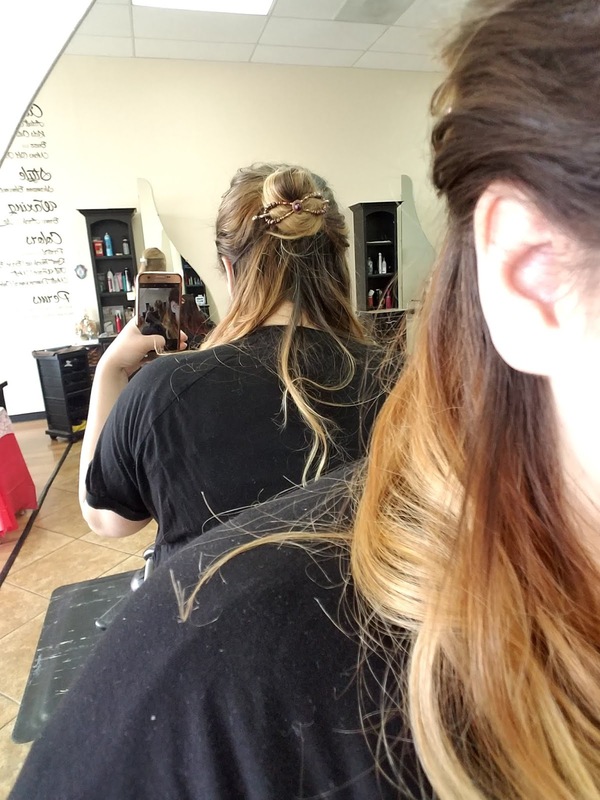 This makes them super strong, but also very gentle o the hair. 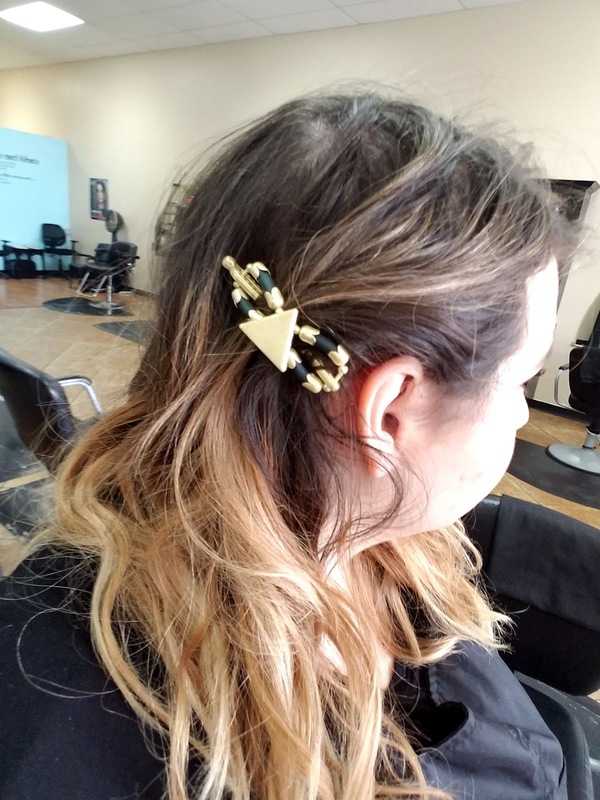 They are super versatile and can create a ton of great looks. They also come out with new designs every season, and they are so easy to use! 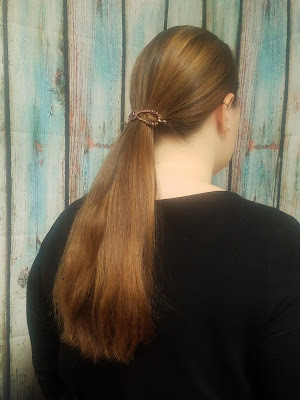 The one pictured above is called "Simple Band" in the shade Nickle. I am going to post some super cute picture of various hairstyles you can do with these. Some of these are pictures I took of myself, or my coworkers wearing these. P.S. you guys I have SUPER cute coworkers! But I also pulled some other people's photos from online, and I will credit those people for their pictures, as well as post which bands they are wearing in each one. And you can shop Lilla Rose Flexi Clips Here. I don't make any commission, kickbacks or money from sales made thorugh this link. If you hop onto your Facebook or twitter ask your friends if they sell, and see if you ca support someone local. Otherwise this is my distributor's link. 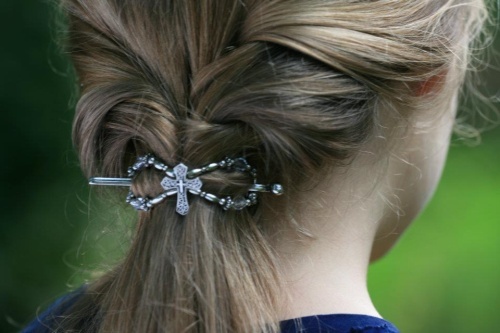 This is a Low Pony with a twist :) Picture credit from AVirtuousWoman.org this gal is sporting the style Etched Cross. 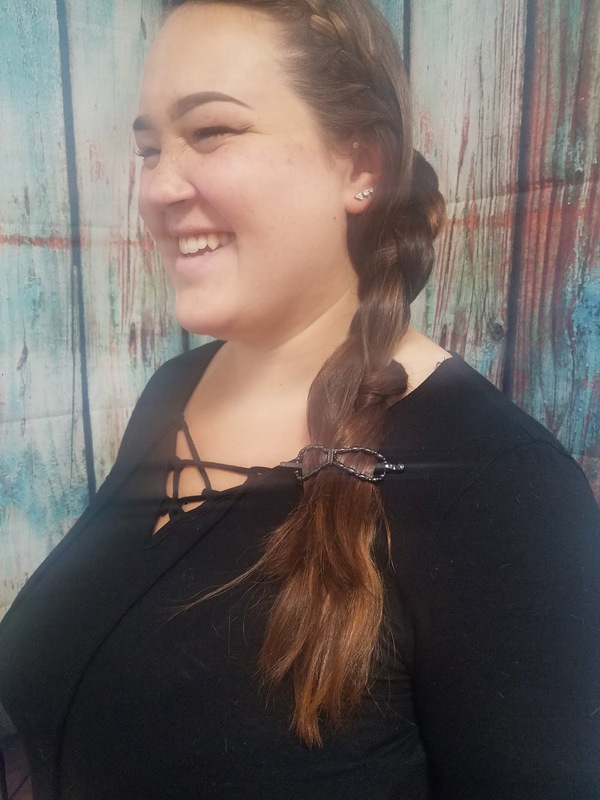 Mariah is showing off a classic 90's look that is making a comeback with the Carmine Flexi Clip. This is a horrible selfie I took of myself, coupled with a cute picture of Krysta again, showing off the Delta Flexi Clip and how cute it looks pinning just a small amount of hair back out of the face. This is by and large my favorite way to wear these. 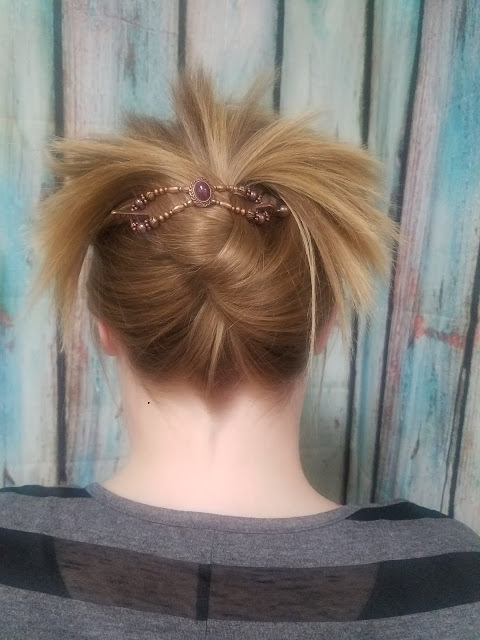 This is the Carmine clip again, but I have a half up/half down look with a cute bun. Love this! And here Krysta Sports the Delta Clip in a half up half down look as well. 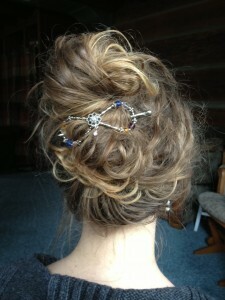 And this one shows off a cute girl with her hair in a messy french twist showing off a clip similar to Hues of Blue. Photo from Living Above the Noise.